There are many cool anodized colorways, but it’s still available in black, too. Your bike, your style — now available for the enduro and park rider. 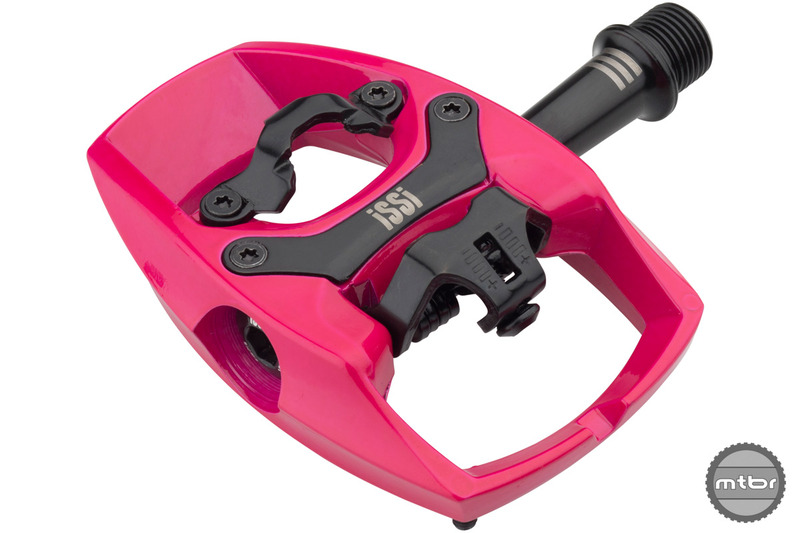 You probably know iSSi from colorful clipless pedals for cross country, bike touring, and commuting. Now prepare to add enduro and aggressive off-road to that list. 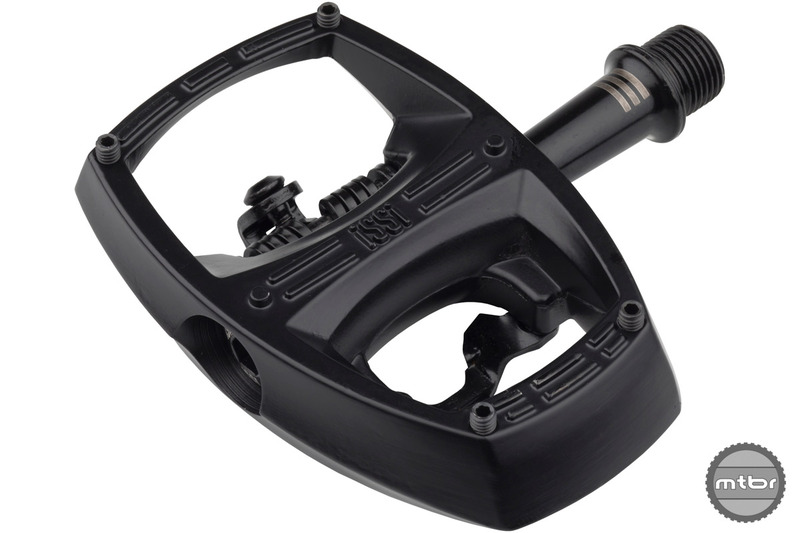 When conceiving the Stomp XL, iSSi designed around a thicker overall pedal and a concave platform. Crafted from fully extruded, CNC machined 6061 aluminum, the Stomp XL has a 20×112.5mm platform and 101mm surface area pin-to-pin, making it both large and sturdy. You’ll also find 22 proprietary pins per pedal with 11 per side and concavity (2mm body, 7.5mm effective pin-to-body). The pins are a flip-flop design, one side short and the other side gives the rider access to remove and tune their grip experience with an included 2mm Allen tool. The Stomp XL internals are built for abuse and overuse, with a full-length chromoly spindle (non-interchangeable), one bushing (inner), and two sealed bearings (outer). It’s a solid build that should last for a long time. 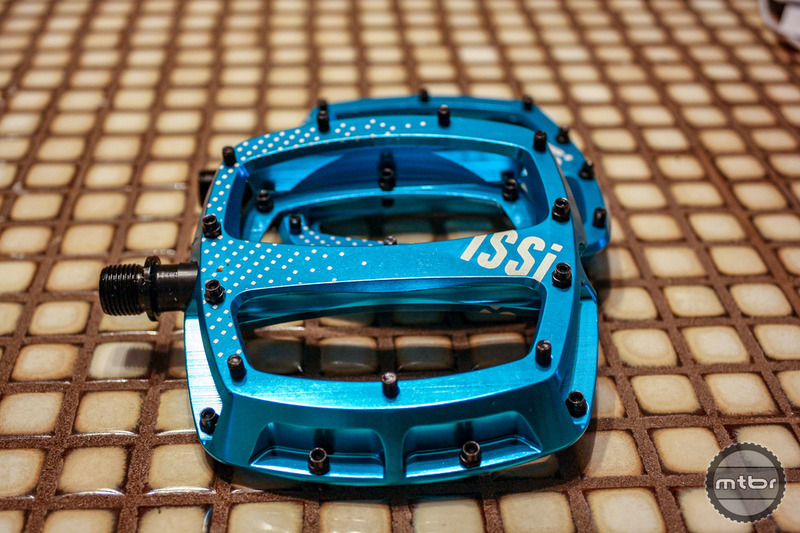 iSSi’s new Stomp XL can grip and rip with the best of them. iSSi recommends the Stomp XL for size 9US shoe wearers and above, though the naming convention makes us think a Stomp “regular” will be released soon. Crafted from fully extruded, CNC machined 6061 aluminum, the Stomp XL has a 20×112.5mm platform and 101mm surface area pin-to-pin. 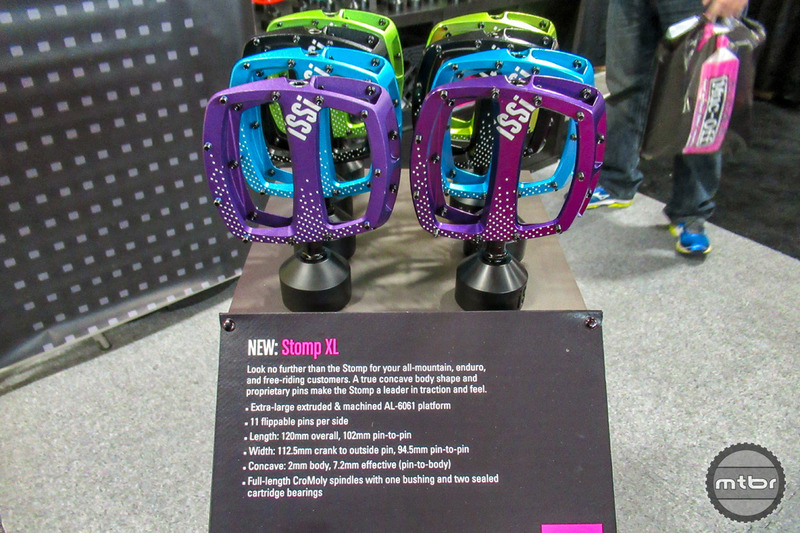 iSSi’s Stomp XL is available in four colors: Sandblasted Black, Plum, Lime, or Blue. But if you act now a polished limited edition are available in the same colors. Both limited edition and matte versions of the Stomp XL sell for $115. 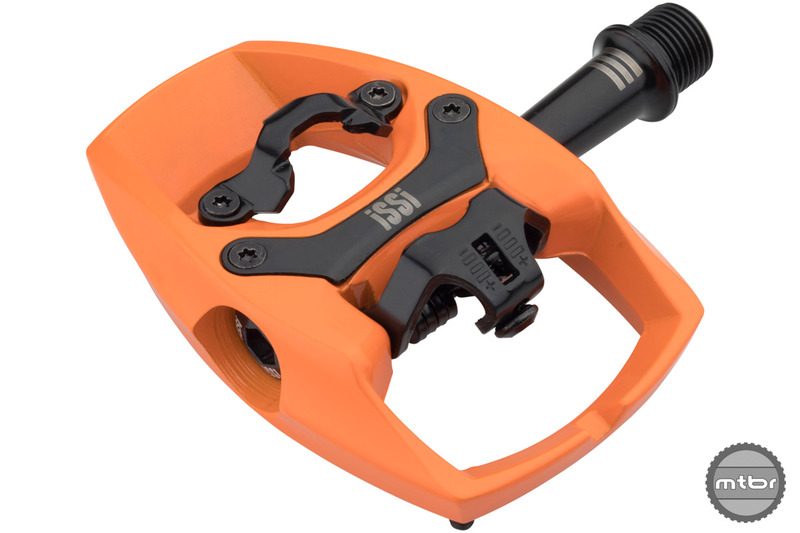 The highly popular Flip pedal is now available as Flip III for those who like options. 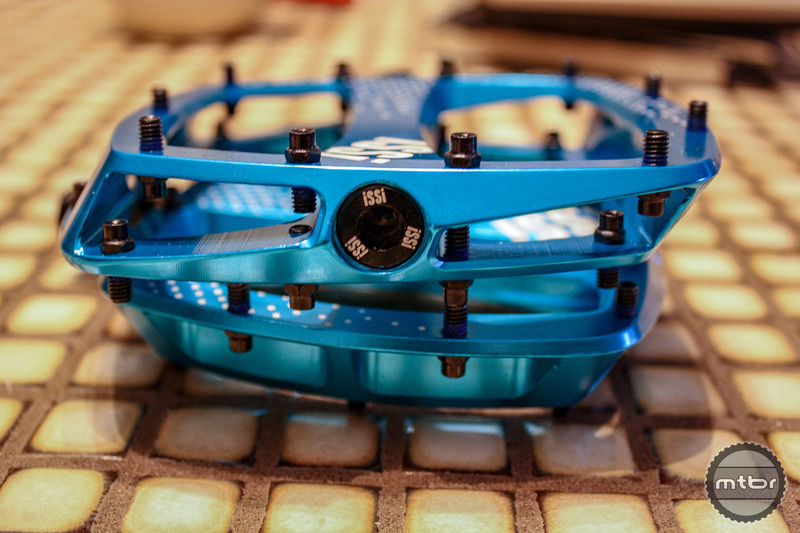 The most notable upgrade from the Flip I and II is the addition of pins for better traction on the non-clipless side. 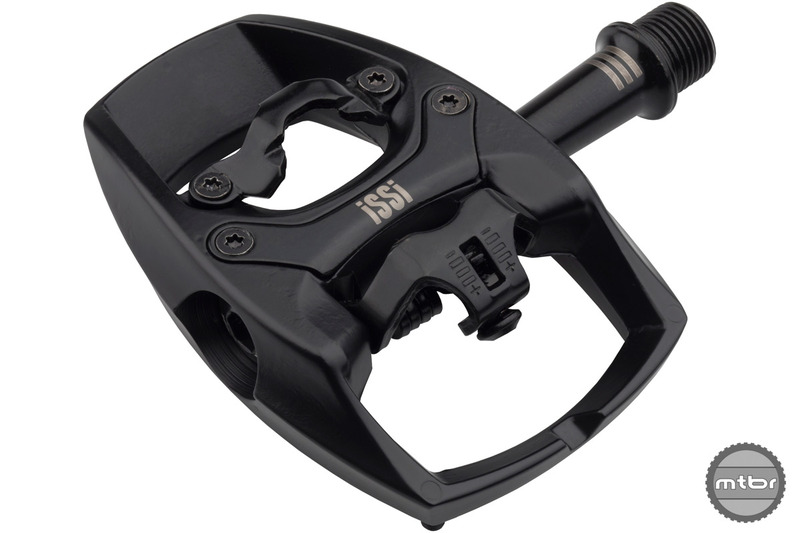 Issi said this addition came from their touring athletes, stating they loved the pedal but in adverse conditions, they needed more grip on the flats. iSSi answered, adding four removable/replaceable traction pins to the non-clipless side for all-around better grip and feel. 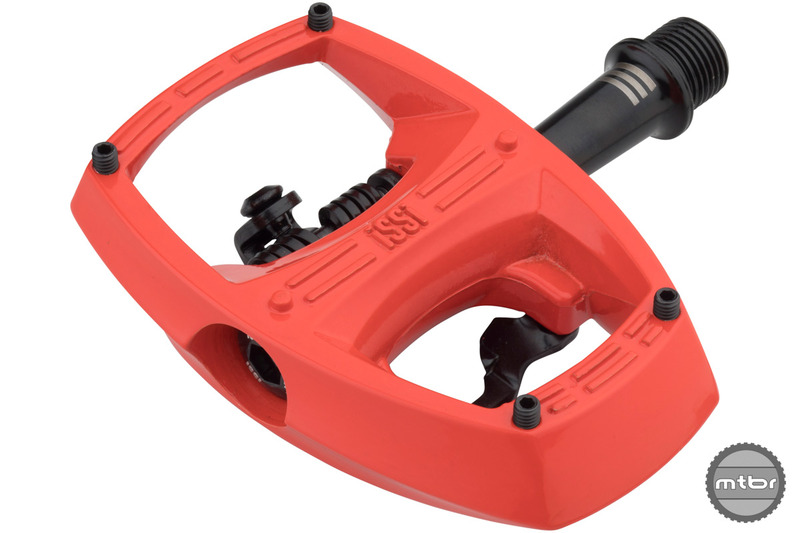 Internally the Flip III utilizes the iSSi triple bearing system for the best durability and low-friction spinning. The Flip II and III both have a 58.5mm spindle length and are available in many colorways. The Flips are available now and retail for $100. To learn more, pedal over to rideissi.com. 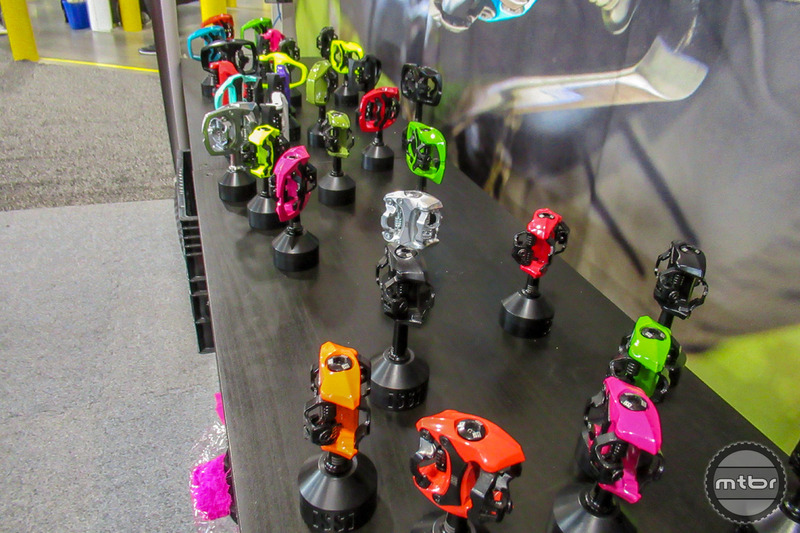 Many cool anodized color ways but still available in black for the true curmudgeon. Crafted from fully extruded, CNC machined 6061 aluminum, the Stompy XL has a 20 x 112.5mm platform and 101mm surface area pin-to-pin. 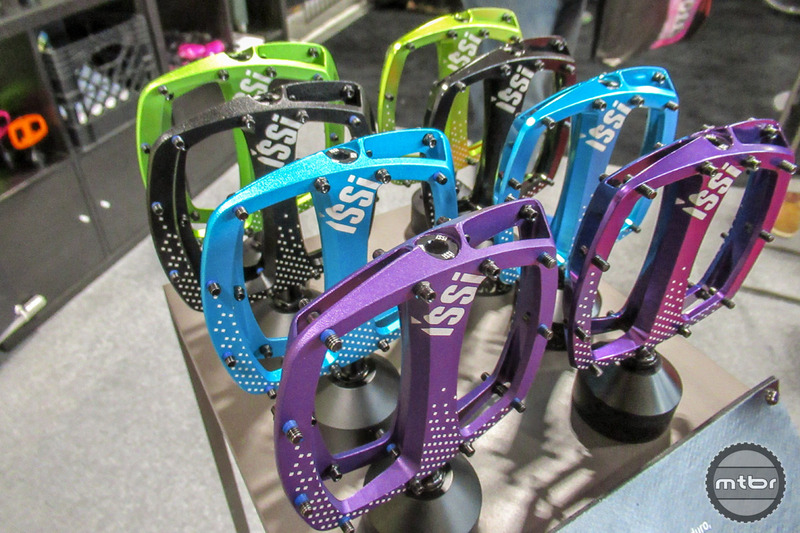 The iSSi Stompy is available in many cool colorways. If you can’t find a pedal to match your personality here; you’re out of luck. iSSi Flip III Black pins for max grip and confidence in any conditions. iSSi Flip III Orange color. iSSi Flip III Pink color. iSSi Flip III Salmon color.